“Dhak dhak…. thump thump…beat beat… goes my heart. As long as I can hear these sounds, I know my heart is alive and I am still living,” I say to myself. I know my heart is telling me the truth, the absolute truth. I have felt this peace in my heart on many occasions. It’s like finding shelter while a storm rages around. It’s like knowing, no matter what happens around me, I am safe for now. I have memories of the time gone by when all was going well for me, my heart was like a vessel that was filled with laughter, joy and happiness. It forgave easily and was filled with hope and plans for a bright tomorrow. All it knew was to give; give love, share laughter, spark hope and spread the love… But then, it encountered one trial after another. I had hardly recovered from one trial when another one struck me hard. My carefree happy heart became a battleground. Fighting a constant battle with hopelessness, despair, anxiety and panic. It lost its battle many times, and I had to keep on reviving it. Each time I revived it, it grew weaker. I knew I had to do something fast. I had to make it strong enough to fight its battles and win more and lose less. I know this because if I am able to write this article, it is because I have somehow managed to keep my heart alive during my trials. And if I can do it, then you can too! Let me share with you some tips that I have found always work in keeping my heart alive during whatever comes my way. I can tell you, with utmost truthfulness that there is nothing better and more comforting than having a conversation with Allah . Place and time don’t matter. Just talk to Him. Say what you feel or fear. Speak about your darkest of thoughts, admit your deepest worries. He already knows everything and He won’t judge or psychoanalyze you. Allah will comfort, accept and fix you. It’s a promise He made in His Book. What my conversations with Allah led to was dua. I begged Allah to help me keep my heart alive. I told Him I feared that my heart could not withstand the constant revivals anymore. Did He answer my dua? Yes, in the best possible manner. Doors of healing and strength opened for me. Some from places I knew of and some from where I never expected. Allah opened the door for me. Walking through it always remains my choice. That was my answer. And it was true. Ponder over what it says. Even if it’s one simple command that you can, just do it. For there can never be any other source of life for the heart other than the Qur’an. It is just the way Allah has created it. No matter what, whether your heart is in it or not, don’t miss your salah. It breathes in life to the heart that is fighting its battles for you. Pray sitting, pray lying down.Pray. Pour out your troubles to Allah while in prostration. As cliche’ as it may sound, helping someone in need, doing good pumps life back into the heart. Maybe it’s their prayers of gratitude for you, or that Allah is happy with you for doing a good deed, nut it always works. A phone call to an elderly or sick person, making something nice for someone, charity, anything that you can do. If you can make this a routine for yourself, then it is going to be even better! Nothing polishes the heart faster than gratitude. No matter how hard our circumstances, there is always something to be grateful for. Even if it’s just a breath that we can take to ask Allah to forgive us. Personally, for me, it always helps me feel better when I stop crying and just look at all the favors of Allah instead. Keeping the heart alive is a process that will keep going on until there is a single breath left for us to breathe. There will be lows and highs. Celebrate the highs and plow through the lows. There will be times when you will feel your heart wants to stop beating and there will be darkness all around. Don’t despair. Allah is Near. Just pick up yourself and revive your heart. Trust me, Allah fixes hearts in the most beautiful manner. My dearest friend, I know what you feel. I have been there and I am there right now. The best news that I can give you is, never worry as you are never alone. Even in the darkest moments of your life, Allah is Near. Always. May Allah dispel all darkness and despair from your heart and light it with His light, ameen! 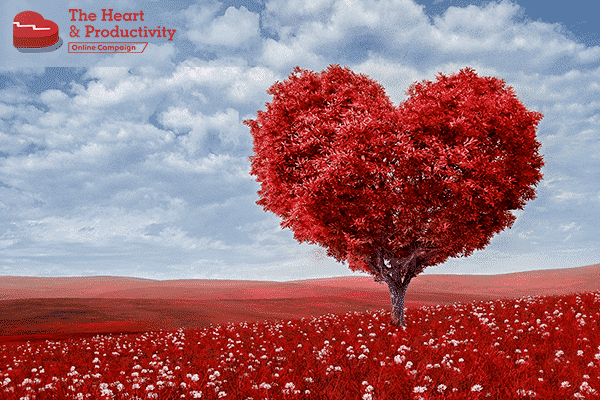 What are your productive tips to keep your heart alive during trials and tribulations? Share them with us in the comments!